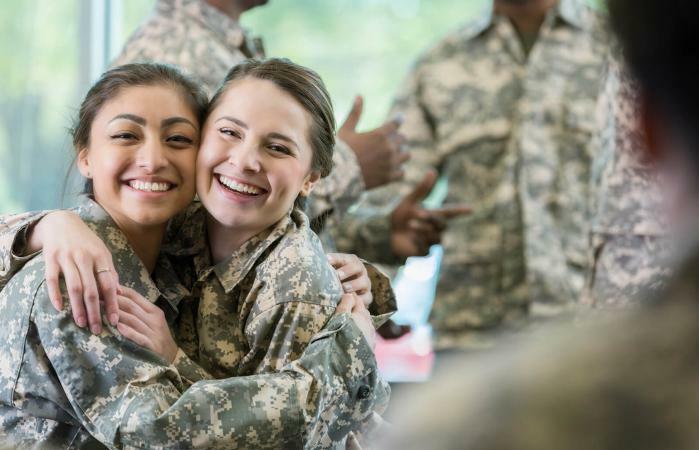 A military style summer school offers a regimented education program that teaches teens how to make better choices, test their physical and mental limits, and embody the values of respect, honor, and self-discipline. The choices include everything from military academies to camps for teens at risk and summer boot camps for teenagers. Here are some military summer school programs that are available. Most of these programs are a few weeks to a month in length; some may offer boarding school year round. Boot camps and military schools can be helpful for teens who need a bit more structure in their lives, or want to add something unique to their resume or college applications. These programs may work for teens who are experiencing behaviorally based issues, or are wanting to bolster their independence, leadership skills, and athletic abilities. If possible, tour the camps prior to selecting one and meet with the staff that your child will be interacting with on a regular basis. Teens respond best to people who they can connect with and feel like understand them, so keep that in mind as you are meeting or chatting with the camp's senior staff members. These camps are not the best option for teens who are experiencing highly distressing mental health symptoms because these programs tend to focus on discipline, behavioral modification, cooperation, and communication. For those experiencing uncomfortable mental health symptoms, finding an appropriate mental health program, therapist, and support group is the best course of action. The goal of military style summer schools is to give each young person a sense of accomplishment and some tools to be successful in life. The right program should offer a mix of caring staff and the right motivators to help your teen reach their potential. Even though the challenges can be extremely difficult, when offered the opportunity, it is possible for your teen to step outside of their comfort zone and grow.